July 5 issue (jul5.htm) featured on The DailyCatholic, a Traditional Catholic publication dedicated to perpetuating the One True Faith and preserving the Traditional Latin Mass in this time of the Great Apostasy by upholding the sedevacantist syllogism in order to Save All Necessary Catholic Traditions in the United States (SANCTUS) and preserve the Truths and Traditions of the Church founded by Jesus Christ upon the Rock of Peter. Yes, it's Cyndi again. I haven't written for a while, as I've been constantly in the dentist's chair trying to get my lower dentures re-aligned to fit where I can at least try to eat something. It has taken three weeks to get it right, but now I believe we are close to solving that, but will know more by mid-June. Meanwhile, I still need to have the upper dentures re-aligned, and those costs are additional...expenses Mike and I do not have. Believe me, we are living our vow of poverty, as there are moths flying out of the checking account because we can't afford mothballs. I do humbly ask for you assistance one more time. I not only need to have my teeth so I can chew my food, but I now desperately need a laptop computer. It's my spine. 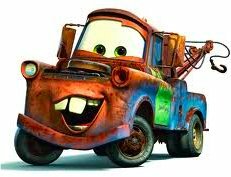 It's disintegrating, and I was able to stave off the inevitable for 20 years by letting the discs in my lower spine fuse together. Now the disintegration has affected not only the lowest discs and those in the L 4-6 range, but even more than that. I am unable to sit. Getting to Mass on Sunday has become nearly impossible, as the time there amounts to two hours. I feel terrible having to ask, but we desperately need our readers to pledge, even if it is only $5., $10., $20. $50. or more a month. If this site has brought you closer to understanding the true Faith, isn't it worth it to help those who bring it to you? Either a monthly pledge or a one time donation can do wonders. Without pledges we can't budget for this traditional apostolate, let alone live, eat and exist. Few are aware that I only receive $481. a month in Social Security Retirement with not a cent for disability. Why so little? Because I was a stay-at-home mom once we had our first son and there is still the marriage penalty where together we bring in less than the lowest income level. The only way we keep publishing The Daily Catholic and live is through our readers' charitable contributions. In order to just survive we need at least $300. more a month; actually $500. a month to stay out of debt and not get kicked out of our home. My computer is dying. It is a 2003 model that has been upgraded, but it's eight years old and on its last legs. Michael's has been rebuilt but the motherboard which has been recouped twice in the last 15 years, is from 1998. It's a miracle it's lasted that long. We sprinkle it with holy water nearly every day and the angels have kept it going. Yet how long will it last? We pray to God it will. Meanwhile, I can no longer sit at a computer, but having a laptop would allow me to continue my work while reclined on the bed. We have duo adjustable hospital beds and I've got it fixed just right to support my spine while Michael has his to ease his sciatica that has grown worse and has forced him to spend less time sitting at the computer. But if you knew my husband you'd realize his stubborn determination to put out a daily issue no matter how bad his back and left leg feel. I know times are really tough all over. But I come humbly to implore your help and generosity. The May statistics for readership show we had nearly one million, seven hundred thousand hits. That is a lot but that never truly accounts for actual readers. That is why the 89,027 visitors who logged on in May is a better representation of how many are reading this publication all over the world for we are read in over 125 countries from Australia to Zimbabwe. In fact, what is encouraging is that each month that number has been growing and yet we haven't spent one dime on advertising. It has all been through word of mouth and the grace of the Holy Ghost. Yet, as much as we rely on God, it is man who has let us down. Point of fact, the last time we put out a plea for help only twelve people responded in kind, seven who have given regularly. Think what would happen if just 1 percent of that 89,027 - that's 89 people - gave $10 a month! We wouldn't have to beg and write these donation letters and could add new facets to The DailyCatholic. As it is now, we've been blessed to be able to continue to bring you such quality considering that Michael is working with the same software he's been using for a decade. It can't be upgraded on his computer because there is no support for it anymore nor can he upgrade his computer from XP because it has reached its capacity. Mind you, it began as a Windows 95. We have the files backed up, but still we're basically driving a '55 Chevy in this day and age of high tech equipment. Again, if everyone who benefits would contribute what they believe what they've read is worth for their spiritual welfare, we wouldn't have to ask and we could provide so much more on this site through upgrading our whole system. You get the picture. The more who help, then everyone is rewarded, perhaps not fully in this life, but truly in the next, and that's what really counts. I humbly ask you to respond and click on the level below that you can truly afford, even if all you can afford is the widow's mite. We truly know what that means. 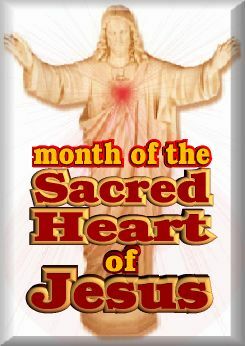 I place all my trust and confidence in the Sacred Heart of Jesus through the Immaculate Heart of His Most Holy Mother. May the Holy Ghost inspire, and open hearts to help. Whatever way you choose to help, know we will be eternally grateful that you cared enought to help and continue helping us save souls. After all, in God's book that's what really counts! On the Feast of Corpus Christi we launched a DailyCatholic Twitter page. Thanks to the help of David, webmaster of NihilInnetur.com, we hope to reach more souls through this newest technology that prior to now we have avoided. However, in an effort to reach beyond the choir, if you will, we have launched out into the deep of social networking and ask guidance from the Holy Ghost to navigate others to the beacon we offer with The DailyCatholic. To be said three times a day at 6 a.m., noon and 6 p.m.
V. Angelus Domini nuntiavit Mari�. Ave Maria, gratia plena, Dominus tecum. Benedicta tu in mulieribus, et benedictus fructus ventris tui, Iesus. Sancta Maria, Mater Dei, ora pro nobis peccatoribus, nunc et in hora mortis nostr�. Amen. Oremus: Gratiam tuam qu�sumus, Domine, mentibus nostris infunde; ut qui, angelo nuntiante, Christi Filii tui Incarnationem cognovimus, per passionem eius et crucem, ad resurrectionis gloriam perducamur. Per eumdem Christum Dominum nostrum. Amen. R. And she conceived by the power of the Holy Ghost. Let us pray: Pour forth, we beseech thee, O Lord, Thy grace into our hearts, that we to whom the incarnation of Christ Thy Son was made known by the message of an angel, may by His Passion and Cross be brought to the glory of His resurrection; through the same Christ our Lord. Amen. In Griff Ruby's thirteenth installment of his excellent YouTube Series "Sedevacantism - A Catholic Perspective", he continues his dissection of the damage Lumen Gentium did in abdicating jurisdiction of every ecclesiastical authority who followed the new establishment formed at Vatican II and this included every priest, bishop and, yes, pope. Yet, that document has come back to bite the barbarians at the gate for Lumen Gentium's language magnifies the fact that, in actuallity, it justified by its own abandonment of the Church founded by Christ, credence to the very jurisdiction to traditional clerics as they are the only possible recipients of the jurisdiction that Lumen Gentium cast to the wind. Thus, recognizing there was no longer one legitimate authority (a true Pope) to rule, it necessitated emergency action or, as the Church calls it Epikeia. Because a few Bishops realized the grave error of Lumen Gentium and the course of Vatican II they had the heroic courage to stand up to the doppelganger church - the counterfeit church of conciliarism and realized, that in order to perpetuate the One, Holy, Catholic and Apostolic Church they needed to consecrate new bishops to carry out the truths and traditions in order to keep the Faith alive in the face of the Great Apostasy. A Few Good Men. On Independence Day, we shared a prayer sent to us by Joe Omlor, son of one of the earliest pioneers of the Traditional Catholic movement - Patrick Henry Omlor: Dear God, bring the Faith to our beloved country. It was once a virgin land wherein the only praise was that of the murmur of the Mass on the shores, the hills and the prairies. Zealous priests and explorers claimed it for Thee, giving Thy Holy Name to its rivers, lakes and cities. From east to west they traveled, from mission to mission, from Mass to Mass until the land was encircled by prayer and gave of its bounty to Thy glory. And now it is dedicated to Thy Immaculate Mother. May she find America again, as she once found the lost Child Jesus in the Temple. May she touch the hearts of our people, disposing them to receive the ancient faith, and thus showing them the things that are to their peace. We ask this of Thee through Jesus Christ our Lord. Amen. Father Casimir celebrated his 25th Anniversary Friday night with a Solemn High Mass on the high altar at St. Michael's church. He is the pastor of the jewel of the CMRI, the sprawling, majestic campus of Mount Saint Michael's overlooking the city of Spokane and the winding Spokane River. He oversees a thriving parish in quite possibly the most beautiful, heavenly church in the world that still offers the true Mass. He also oversees the Academy, which continues the tradition of true Catholic education in schooling traditional Catholic students from K to 12 in forming the leaders of tomorrow to perpetuate the holy faith. On behalf of our readers around the world, we offer our warmest wishes and prayers to Father on celebrating his Silver Jubilee as a true priest, a man who truly exemplifies what a pastor should be. On behalf of all our readers, we sent our heartfelt congratulations to Father Brendan Legg and Father Michael Oswalt on the occasion of their Ordination to the Holy Priesthood on the feast of Sts. Peter and Paul at a Solemn Pontifical High Mass on the high altar of Mount St. Michael's Church in Spokane when His Excellency Bishop Mark Pivarunas, CMRI conferred the Sacrament of Holy Orders. These two men are the latest consecrated warriors of the Word, dedicated to preserving and perpetuating the one, true holy Faith in bringing the true Sacraments to the Faithful in the face of so much apathy and opposition to the truths and traditions of holy Mother Church. We ask God to richly bless them for their perseverance and further proof that if it is of and from God, nothing will stop it. Fr. Michael Oswalt is an excellent example of this as he was maligned, libeled and stolen from by the conciliar diocese and its alien apparatchiks because he dared to question how he could be a priest in the newchurch and say a valid Mass when, in his research, he realized it was impossible. Yet, the wolves in sheep's clothing who have infiltrated the Church over the past 50 plus years stopped at nothing to slander him and prevent him from even his just wages. 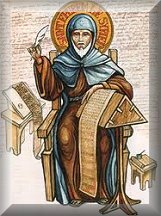 Yet he was so humble and sincere that he was willing to submit to Bishop Pivarunas and, basically, start all over in formation for the true priesthood even though he had undergone the required indoctrination - erh, ah to be politically correct (which we detest) - 'seminary' training - in the conciliar confines. 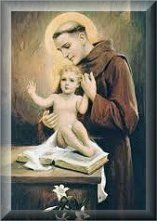 Because he was true to his heart and soul, he has exemplified what we all must do to be meek and humble of heart in order to make our hearts like unto the Sacred Heart. On the transferred feast of the Most Precious Blood Fr. Oswalt will confect for the first time the Body and Blood, Soul and Divinity of the True Presence of Jesus Christ at his First Solemn High Mass at 8 a.m. at the Mount. Fr. 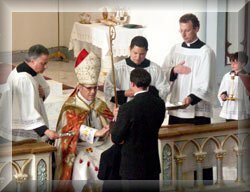 Legg will do the same on the feast of St. Paul the Apostle at 8 a.m. in celebrating his first Solemn High Mass. In Griff Ruby's twelfth installment of his excellent YouTube Series "Sedevacantism - A Catholic Perspective", he returns to the language of that devious document of Vatican II, Lumen Gentium, and points out that who ever agreed to what it said automatically became charter members of the newchurch - a "doppelganger church" as Griff calls it and which we know it as the counterfeit church of conciliarism begun at Vatican II and from that point on no longer a member of the true Catholic Church. Thus, whatever they did from then on became invalid and illicit. And when paul iv dared to alter the Sacrament of Holy Orders in 1968 the die was cast. Yes, it is dye, but we purposely put "die" for that is what souls do who attend the novus ordo and partake of the 'sacraments' of the false church. How can they live again? Ah, that is what Griff finishes with for only those traditional bishops who have remained faithful to the truths and traditions of holy Mother Church can provide the true Sacraments instituted by Christ and not altered by man. Griff explains in Part Twelve by showing how Lumen Gentium was the point where a new branch sprouted with the doppelganger church and served to identify how so many souls were ripe to be Ripped from the True Vine. This week we present Griff Ruby's eleventh installment of his excellent YouTube Series "Sedevacantism - A Catholic Perspective" in which he speaks about various independent and SSPX parishes that still recognize Ratzinger as the pope but refuse to go along with anything he says. So what is their situation. Good question which Griff attempts to answer in his piece about the precedent set over Bishop Nestorius. Griff points out why non-sedevacantist Masses and sacraments are nevertheless acceptible for Catholics as long as the priest is a true priest. But how do you know? 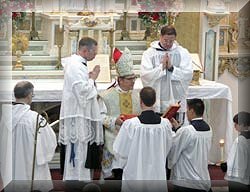 Ah that is the rub, for unless the priest was ordained before 1968 or was ordained by a valid traditional bishop who practiced exclusively the Traditional Latin Mass, they would not be a true priest and therefore their mass whether it was a Motu or even a Traditional Latin Mass would be invalid -- totally invalid. Truly the people need to be aware. That is why the sedevacantist Masses and sacraments are more prudential and the more correct course as he points out in Caveat Populus . With the devotions in preparation of Pentecost we delayed our regular features and so, after a two week hiatus, we resume Griff Ruby's excellent YouTube Series "Sedevacantism - A Catholic Perspective" with his tenth segment, this one nearly nine minutes in which he points out that Traditional Catholics in the Vatican organization are actually living in a kind of dhimmitude, a concession if you will, which is the best analogy akin to living under Sharia law in an Islamic country where Christians would be tolerated to practice their Faith as long as they don't bother anyone or proseltyze - though that would be the antithesis of what Christ asks. In the same vein today we see where Catholics are tolerated in isolated corners of an organization which is now fundamentally non-Catholic. The Vatican leader, not being pope but only some lesser prelate - which points to the present occupier as not even being a bishop - can be judged by a superior, or even possibly a group of episcopal peers in the Church, and it would have canonical force, but as that has not as yet happened the obligation to avoid his obedience is not binding, other than on the level of our own individual judgment. However, if he is not a valid pope then he would not come under the protection of the standard defense of non-sedevacantists that a Pope cannot be judged. True, but a false pope? Ah, that's a different story and for that there is No Dhimmitude in the Divine Law . Also, we encourage you to read Dr. Thomas A. Droleskey's inspiring account of this holy Doctor who stood against heresy. "Perhaps You Have Not Met a Catholic Bishop Before"
�No one can deny or doubt that this Jesus Christ, in order to apply the fruits of His Redemption to all generations of man, has built here on earth, upon Peter, His one, holy, Catholic and apostolic Church; and that He conferred upon her the power necessary to preserve whole and inviolate the deposit of Faith, and to transmit this same Faith to all peoples, tribes and nations, so that all men be united in her Mystcal Body through Baptism. � Wherefore, this Church, which constitutes His Mystical Body, will persist and prosper in her stable and immutable nature until the end of time. �Whoever carefully considers and studies the situation of the various religious communities, divided amongst themselves and separated from the Catholic Church � will be easily convinced that none of these associations � whether considered individually or taken as a whole � can in any way be seen as that One Catholic Church that Christ the Lord built and willed to exist. Neither can they in any way be considered members or part of this same Church, as long as they remain visibly separated from Catholic unity. It follows that such communities, lacking the living authority established by God to teach men � especially in Morals and matters of Faith and customs, directing and governing them in all that concerns eternal salvation � thus mutate in their doctrines and are constantly changing and instable." John Gregory provides the commentary for the Sunday after the Ascension from Father George Leo Haydock found in many Douay-Rheims version of the New Testament. In all things Christ must be honored and defended even if it means being persecuted for believing in Him. Our Lord conveys these final words to His disciples, foretelling of a time when the Jews and unbelievers would greatly harass and even kill them. Every apostle except for St. John suffered martyrdom. When Jesus speaks of His followers "being put out of the synagogues" what do you think they'd have to say about BeneRatz' latest schmoozing and giving credence to Caiaphas and all the faithless Jews since who persist in their error? What does he do? Not only participates, thus publicly giving scandal through his persistent heresy, but proclaims that the Jews do not need to be converted. But then what's new? In fact, he's done it so much that few recognize the apostasy in their midst. We need only read what our Lord says about it in today's Gospel. Do you think Fr. Joseph Ratzinger has read that passage? Do you really think he cares? Ah, there's the rub. All hail man! Yes, Lord, we remember that You did tell us this too would come. Perhaps we never realized how bad it would be with so many duped into actually believing Ratzinger represents You. St. Paul says today "in all things God may be honored through Jesus Christ", not man. "They have not known the Father, nor Me"
We at the Daily Catholic believe that copyrighting material is counterproductive to the purpose of saving souls and, therefore, in order to expand our reach so that we may decrease while Christ increases, we freely give permission to all to copy and disseminate any written material contained on these pages from 2004 onward, provided nothing is taken out of context and the URL and sources are credited for the sake of accuracy and for the sake of restoring all things in Christ. So as not to confuse or deceive the faithful in any way, nothing before 2004 may be used without written permission from the editor. For pertinent questions on this, use the contact us button above.